Long before Dr. Didacus Jules was Director General of the Organisation of Eastern Caribbean States, he’d already decided to get in touch with Bevil Wooding. 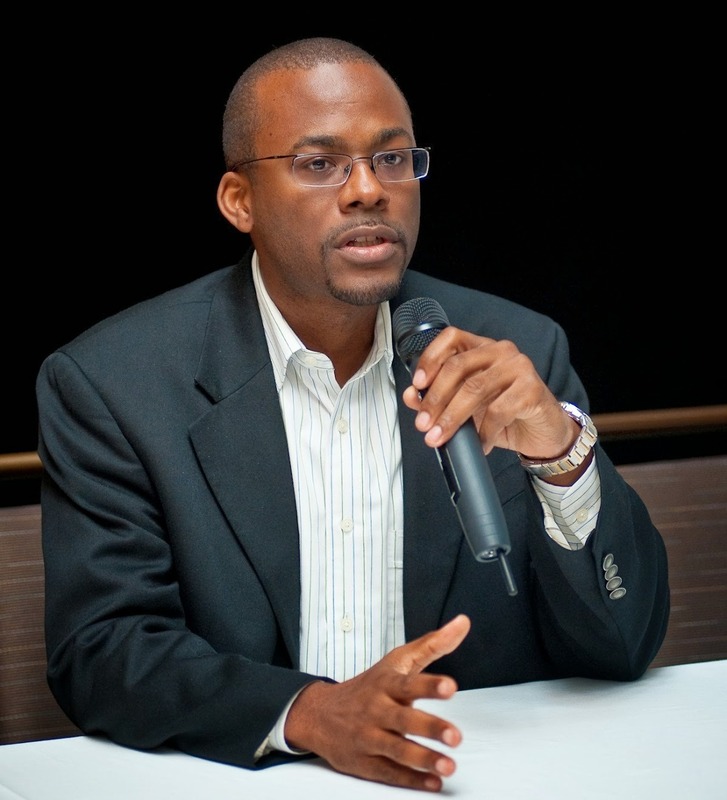 Jules, then the Registrar and CEO of the Caribbean Examinations Council, had read about Trinidad and Tobago-born Wooding’s appointment by the Internet Corporation for Assigned Names and Numbers as one of seven people entrusted with a special cryptographic smart card that holds part of a key used to generate the Domain Name Server Security Extensions (DNSSEC) protocol. As head of the regional body that provides primary, secondary and post-secondary examination and education services, Jules was particularly interested in preparing Caribbean youth to make the most of emerging opportunities in the digital economy. He realised that Wooding was just the man for the job. As it happened, their first meeting would be two months in the making. It was a chance encounter—they were seated side by side in business class on a five-hour Barbados-Denver flight—but they hit the ground running. Almost literally. Descending over Colorado, the two had already mapped out a full program of collaboration between CXC and Congress WBN, the Caribbean-birthed faith-based non-profit organisation with operations in more than 100 countries, of which Wooding serves as Chief Knowledge Officer. Through Congress WBN, Wooding had already led computer skills training programs in the UK, US, Pacific Islands and throughout Africa. Within weeks, he was bringing a digital revolution to Caribbean education, planting the seeds for CXC’s Digital Media Syllabus and first digitally administered examination. “Bevil’s contribution was invaluable in helping CXC move towards becoming what I call an IT Intelligent organisation, leveraging ICT for efficiency and cost effectiveness and changing the way in which we work,” Jules said. A leading voice for the use of technology as a tool for economic growth and social change, Wooding works to bring change to many other regional governments and institutions, including CARICOM’s Human Resource Development Commission and the Caribbean Court of Justice. Sir Dennis Byron, President of the Court, also described the “transformative” impact of Wooding’s work. “I had been discussing various aspects of the development of indigenous technological solutions to improve aspects of justice delivery in the region, when Dr. Didacus Jules suggested that I contact Bevil Wooding. Bevil responded immediately to my request to meet him and from the first engagement was completely aligned to the vision and was full of ideas on how to achieve meaningful solutions,” Byron said. In 2016, Wooding’s work with the CCJ led to the creation of APEX, the region’s first agency focused on technology solutions to strengthen the administration of justice in the Caribbean. “He has travelled the Caribbean speaking with government ministers, leaders of society, leaders of religions, talking to educators and to young people all across our islands, touting the benefits of a connected Caribbean, of a world enjoying the benefits of Internet technology. For Bevil, it’s not just about the technology, it’s about the advancement of human life and the power of technology to cause benefit to human life in the region we call home,” Woodroffe said. “I first met Bevil on October 21, 2008 at about 10.30 in the morning in the general conference of ministers of the Caribbean Telecommunications Union at the Hilton, Port of Spain. In all the time that I have known him, I have seen consistently that Bevil has a heart for people. He seeks to help people help themselves, and consequently at the professional level we have been firm supporters of each other’s work,” she said. “Bevil has made Internet connectivity something that Caribbean people create locally in domestic Internet exchanges, rather than being entirely dependent on imported bandwidth, as they were before he began this work. He organised the Caribbean Network Operators Group, the Caribbean Peering and Interconnection Forum and many subsequent ongoing fora for the Caribbean’s twenty-first century leaders to convene and discuss their strategies for the future,” he said. Salanieta Tamanikaiwaimaro, member of the Multistakeholder Advisory Group to the United Nations Secretary General, was impressed with Wooding’s work in the Caribbean and invited him in 2011 to the Pacific to address a group of executive managers of Internet Exchanges, drawn from government and the private sector. “While on that visit, Mr. Wooding also helped launch the first event for girls and women in ICT in the Pacific, and hosted the first mobile apps development workshop for youth in the Pacific,” she recalled. Others have praised Wooding for his role in supporting cybersecurity and strengthening Internet governance in the region. Accolades like the University of the West Indies 50th Anniversary Distinguished Alumni Award in 2011 and the Latin American and Caribbean Internet Addresses Registry Lifetime Achievement Award in 2013 point to the impact of his work. On November 17, Wooding will be honoured at the 24th annual Caribbean American Heritage Awards. The awards celebrate achievements of people of Caribbean descent who have made outstanding contributions to their fields of expertise. “Mr. Bevil Wooding is a virtual technology ambassador, evangelist and pioneer and we are honoured to present him with this year’s Caribbean American Heritage Award,” said Dr. Claire Nelson, Founder and President of Institute of Caribbean Studies. “Mr. Wooding demonstrates the region’s capacity to innovate and create world-class thought leaders in any arena, and we hope people throughout the Caribbean can be moved and inspired by his accomplishments and devotion to making technology accessible to all,” she added. Wooding will receive the award at a formal ceremony in Washington DC. The ceremony will also honour Dr. Glendon Archer, Dr. Clive Callender, Jennifer Carroll, Nneka Norville, Dr. Henry Lowe and Karl Racine. Part of the proceeds will go to victims affected by Hurricanes Irma and Maria in the Caribbean.